"Hey hey, my my, Rock and roll can never die. There's more to the picture, Than meets the eye." 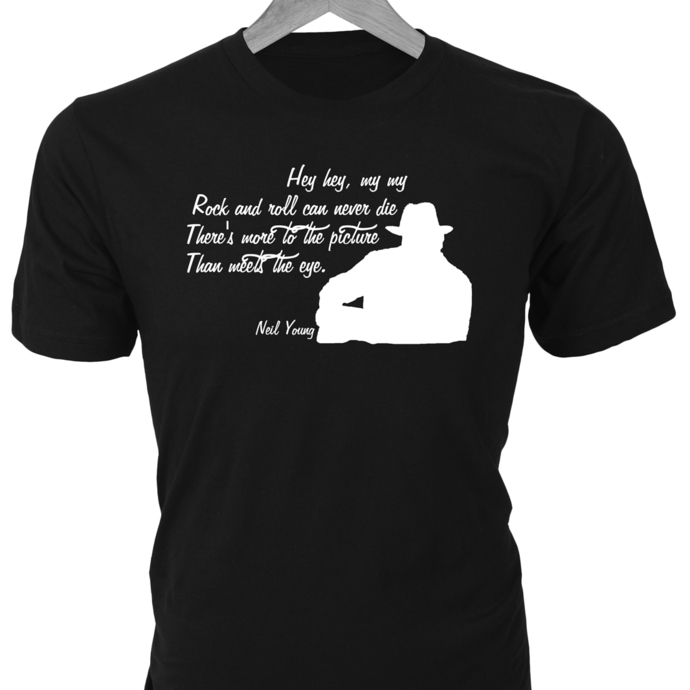 — Neil Young in Silhouette with Song Lyrics Quote from the 'Hey, Hey, My, My' hit song on Custom T-Shirt.